ARC received from the publisher, Random House UK, in exchange for an honest review. Kellanved’s Reach was a great continuation to the story behind the rise of Kellanved and Dancer, and the beginnings of the Malazan Empire. Judging from the direction of the narrative in this book, I strongly doubt that this would be the end of the series (which was marketed initially as a trilogy). Compared to the previous books, the number of character POVs in the third book had more than doubled. There were multiple storylines told from the perspective of all the different warring city-states within the continent of Quon Tali. Arising from these were several new characters being introduced. 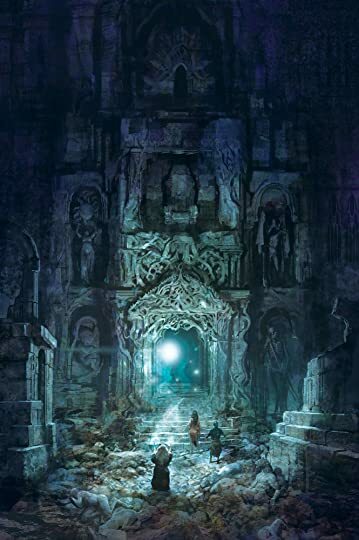 While most of these individuals will have significant roles in the later Malazan books, their respective subplots at in this book seemed largely detached from the main story. There was one character whose nickname was yet to be known by the end of the book, and it made me want to tear my hair out. I was certain that he’s a prominent person in the later books, but his character development at this stage did not provide sufficient clues. Deadhouse Landing was another fantastic novel in this prequel trilogy of two of the most notorious characters from the Malazan series. This sequel continued to expand on the origins story of Dancer and Kellanved, by bringing us to the infamous Malaz Island – where it all began. For readers of Malazan, some of the names in the Dramatis Personae were enough to make one incredibly excited for what’s in store. It was so hard for me to write this review without giving away even the smallest detail, which might diminish the impact of the “Aha!” or the “OMG, it is HIM/HER!” moments. These names alone aren’t actually spoilers in its truest sense. Nonetheless, my take is that a Malazan fan will derive more delight from reading these prequel books without prior knowledge of whom among the Old Guard might be featured. Thanks to Ben Galley for providing an ARC of Grim Solace, in exchange for an honest review. Grim Solace is a brilliant second book in this original and grim trilogy. Ben Galley wove a brutal tale of murder, treachery, greed and deception in a world that mastered death and bent it to the whims of the living. My first 5-star rating this year, and it’s a Malazan book. I love the world of Malazan, and the Malazan Book of the Fallen stands as my favourite grimdark fantasy series. However, these are not books which one can pick up to read for ‘fun’. Not only were the worldbuilding complex and the cast of characters extensive, but the prose was also dense and philosophical. Moreover, the narrative frequently messaged dark and bleak themes. To be honest, it felt like work sometimes to read MBOTF, albeit work that I thoroughly enjoyed. Coltaine and the Chain of Dogs, enough said. People told me that when you’re starting Malazan Book of the Fallen, it’s mandatory to read at least two or three books in the series before finally deciding on giving up on the series. One of the main reasons behind this is that Deadhouse Gates is considered one of the strongest installment within the series by the fans after Memories of Ice and The Bonehunters. Now that I’ve read Deadhouse Gates, I finally understand why people insist newcomers on continuing to the second book first. However, please do check your expectation. Despite how much I loved this installment, I’m actually slightly disappointed with how it turns out; more detail on this further down below. Here we go. This is my first review for Steven Erikson’s highly acclaimed epic fantasy series: Malazan Book of the Fallen. Number one spot aside, none of these are in particular order. Why? Because I spent two hours of staring at my computer screen and I still can’t firmly decide on the ranking!